Walking is a healthy way to promote good health. 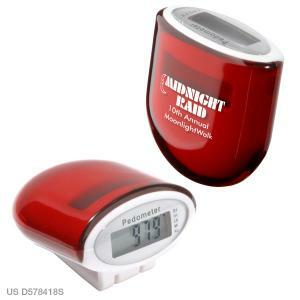 The red custom solar power cosmic pedometer is the best choice to support your customers in this. These pedometers measure the steps up to 99,999. It also records the distance travelled and the energy utilized in calories. 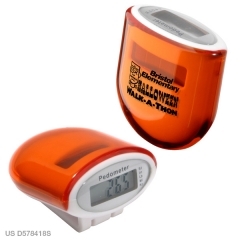 The entire result will be displayed on the top view LCD display of the promotional solar power cosmic pedometer. These are eco friendly as they have a solar panel too. This personalized solar power cosmic pedometer input the user’s stride length for the most accurate results. The users can use these pedometers for early morning or late night jogging as they are provided with back up battery for low light conditions. 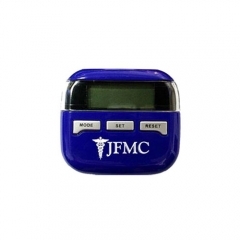 The device measures 1-9/16” x 1-3/4” x 1-1/8”.